I have been waiting so long for this and now it’s finally arrived. PlayerUnknown’s Battleground was one of my favourite games to play back in the day until my PC started playing up and became broken. I managed to fix the PC but then the PlayStation 4 came out and my time as a PC gamer slowly faded. I remember hearing rumours about PUBG eventually coming to console and was so excited but then it got unveiled as an Xbox exclusive with no real date on when it will be coming to PlayStation. Though when it came out on Xbox I managed to play it and have to say I was extremely let down with the performance issues and the fact that it was riddled with problems such as map rendering and bugs. That being sad I was always going to give it another chance when it came out on the PlayStation4 and I’m so happy that I did. 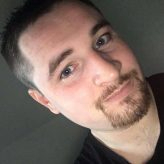 Over the last few years thanks to PUBG we have seen a rise in video games going Battle Royale or even adding an extra mode to their games to jump upon the success of this particular genre. One of the big examples of this would be Fortnite closely followed by Call of Duty Black Ops 4’s Blackout mode. For those that might not be up to date, Battle Royale is simple yet fantastic where it pits players against each other until there is only one victor. It has been done many different ways recently but PlayerUnknown’s Battleground personally did it first and really well. It sees the player jumping out of a plane with only a parachute, you then must find your weapons and armour to defend yourself against the other 99 players. As time progresses a circle that deals damage over time if you get caught in it will become smaller and smaller till eventually you’re in a close quarter combat area. If you’re the victor then you earn yourself a Chicken Dinner which is one of the best feelings for a gamer. I love how simple the game is to play and the thrill of staying alive and outliving others. You can play on your own, Duo or in a Squad. Personally the game is much better when played with friends but playing with other players online is enjoyable too. It’s nice to know that someone has your back when playing in these other modes and that if you do get unlucky and knocked down there is a chance to be revived. 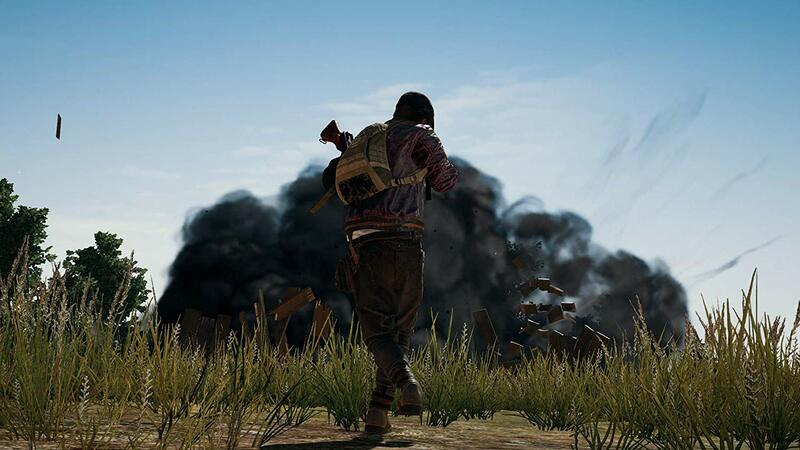 With PUBG you have numerous slots for weapons and have to find backpacks to increase your inventory space, you will find ammo, medication and attaches for weapons that will make surviving that little bit easier, every now and then a supply drop will come and if you’re lucky enough to get your hands on it you’re rewarded with better loot even though it is high risk going after these crates, the reward is worth it. 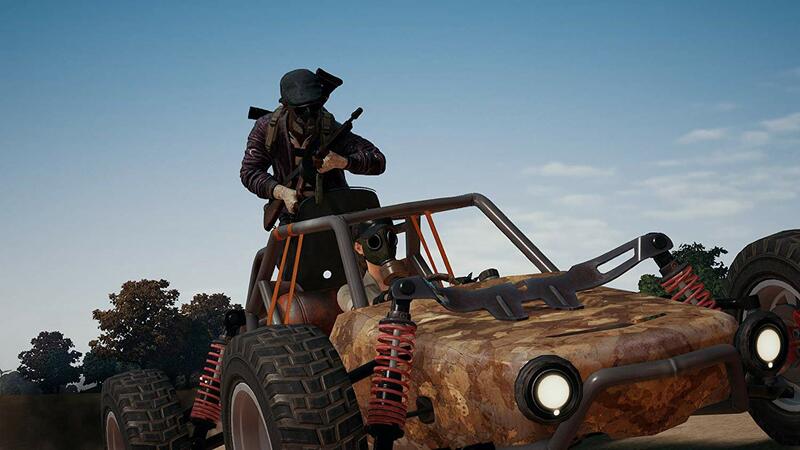 There are different vehicles in each map that aid in travelling through the maps, even though they are handed to out run the circle they are very buggy with certain terrain and can bug out and even kill you. There was nothing more frustrating than having good loot but then your car blowing up or getting flipped off your bike for no reason. Looting in PUBG was good on the PC but feels like it takes forever on PS4, you have to go through every item individual and select it, which in high combat situations isn’t good at all. It’s not the end of the world but I thought it would come with a quick equip/pick up button so that you’re not just standing over loot for ages picking it up. Aiming on the PS4 version is annoying, you have to double tap the trigger to use the sight or if you just hold it then you 3rd person look down sight, this, when going into combat is the worst thing because I use the sights in 1st person when shooting people and don’t really enjoy losing in a gun fight because I forgot to double tap. Some people might not find it a problem but I sure do. By playing matches you get awarded BP that can be used to buy creates that contain weapons cosmetics and clothing for your character. You can purchase in game currency to but personally I find it more rewarding earning crates then just purchasing them. 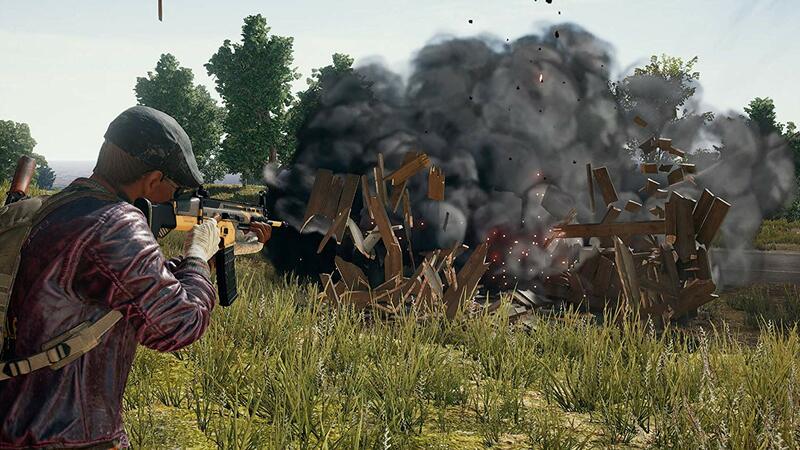 Graphically PUBG could be better on the PS4, I have a PlayStation4 Pro and it looks like it did when I played it in early access on my PC using medium settings. This was a bit of a disappoint as I was looking forward to being able to play the game with better graphics. The game current has three maps playable on the official PS4 release these are Erangel, Sanhok and Miramar each based loosely off real life locations. The fourth map will be released in January next year and is called Vikendi. When this map releases the game will have locations based of a desert, tundra, jungle and more rural environment which means that there will be plenty of variation in the maps. Though if you do have a favourite you can simple just change the settings in game to just use that particular map. Audio wise PUBG does an amazing job at capturing the different gun sounds and also the environment that each level is based on. I love that depending on the direction that you are facing when you hear gun fire or a vehicle can narrow down which direction it’s coming from as its louder when you are facing the action, which is really helpful when you think that the sizes of the maps are huge. There is music but it’s mainly just in the lobby area, I notice that they also removed the sound of the plane when you are about to drop which was nice because that use to be a pain and very loud when I played it back in early access. 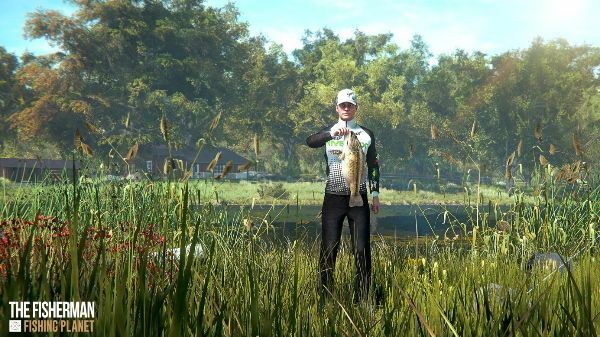 The game has plenty of replay value and also comes with its own trophy list which for perfectionist will take a while due to the amount of chicken dinners you’ll need to get and the diversity in the trophies. You also get survival rewards that by completing certain missions will earn you XP and Drops which will give you rewards when opened. This is like the Challenges you see in Fortnite but with PUBG its split into Daily and Weekly missions and is completely free. For every game you play you’ll earn BP which can be put toward cosmetics for weapons and characters which in term gives the player more of an incentive to play. PUBG has really surprised me in how far it has come. 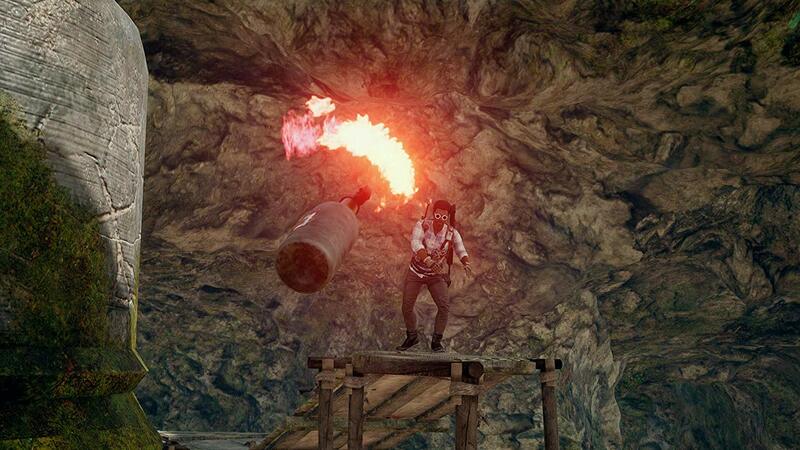 It has started a massive genre and popular game mode that has taken the gaming industry by storm. Off the back of its success launch on the PC it eventually came out onto consoles. It took me a while to get back into playing it seeing as I have been playing a lot of Fortnite. The looting seems really awkward at times because you have to access their loot create and go through each item individual to select what you want which can be very annoying while in combat. It can also feel like Loot Simulator at times, if playing in Solos because it is very rare to come across people unless you drop in the same locations as them or are in the smaller circle when it’s getting close to end game. Though saying that I do prefer the realism you get with PUBG. It runs really well on the PlayStation with the only real issue being the graphics quality. I have defiantly enjoyed playing this game again and can honestly say that this is where my love for Battle Royale games really started and can’t wait to see what else is in store for us from the developers as they continue to work on this fantastic game. With all the other Battle Royale games out there you’d be silly and missing out if you didn’t play this one! I’m more than happy to give PlayerUnknown’s Battleground a 7/10.